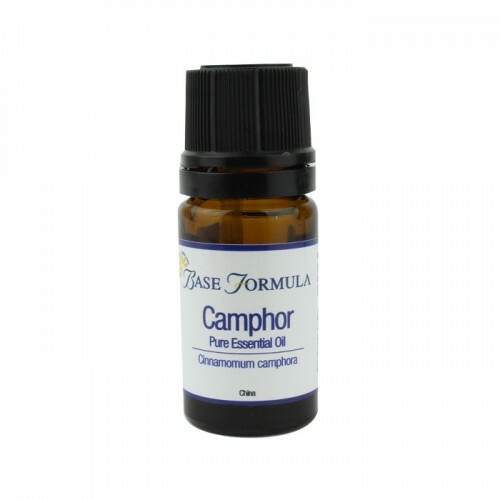 Camphor essential oil has a sharp, pungent, camphoraceous, woody aroma. It can have a positive effect on colds and flu, respiratory problems and aches and pains. Camphor (Cinnamomum camphora) is a tall evergreen tree from the Lauraceae family that is native to China, Japan and Taiwan. Camphor essential oil is steam distilled from the chipped wood and branches and rectified under vacuum to produce four different fractions – white, brown, yellow and blue. Only White Camphor is used in aromatherapy, as all other fractions are considered toxic and carcinogenic. Camphor has traditionally been used for both medicinal and religious purposes. It was thought to protect against infectious disease and have a healing effect on mind and body. It was used in medicines to treat colds, skin ailments, digestive problems, stress-related issues, and as a disinfectant in embalming procedures and fumigations at the time of the plague. 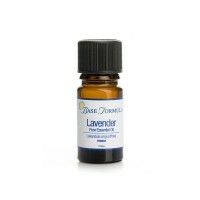 Today, although this essential oil has some toxic effects, it can be used with great effect in aromatherapy vapor therapy to clear the lungs, dispel apathy and calm nervous depression. It can also have some distinct benefits for the skin when used with care, however it is not recommended for use in aromatherapy massage. Camphor essential oil can be used in the treatment of acne, inflammation, arthritis, muscular aches and pains, sprains, rheumatism, bronchitis, coughs, colds, fever, flu and other infectious diseases. It is also used to repel insects such as flies and moths. Do not use if epileptic, pregnant, suffering with a fever, or on sensitive skin and with children under 2. White Camphor essential oil has antiseptic properties and is an effective insect repellent. Although only very small amounts of Camphor oil should be included in any topical formulation, it does have value in fighting inflammatory conditions and reducing redness, making it useful for treating acne, burns and sore chapped hands. Camphor is a balancing essential oil that can help to sedate the nerves and uplift apathy. Camphor essential oil is beneficial for colds and flu helping to clear the sinuses and respiratory system. It is also helpful for muscular aches and pains, rheumatism, sprains, arthritis etc. Bergamot, Birch, Cardamom, Clove, Eucalyptus, Geranium, Lavender, Lemon, Niaouli, Rose, Rosemary, Thyme.